Posted by Editor at 9:14 PM . 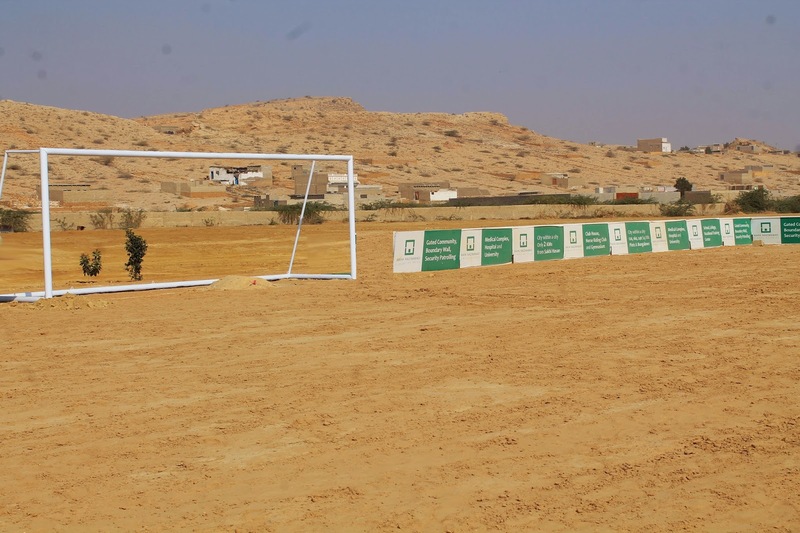 A football stadium of international standards is nearing completion in Naya Nazimabad and it will soon be made available for hosting matches, much to the delight of the local sports fraternity. The infrastructure projects hold lifeline to the development of sports and it’s very heartening indeed to find such a wonderful football stadium getting ready to become the next big thing in the city. It’s going to be the fulfillment of another dream of Arif Habib, Chairman, Arif Habib Group, who has already created waves in the sporting community by having developed the Lawai Stadium in Naya Nazimabad which is acclaimed as the most picturesque cricket ground of Karachi. 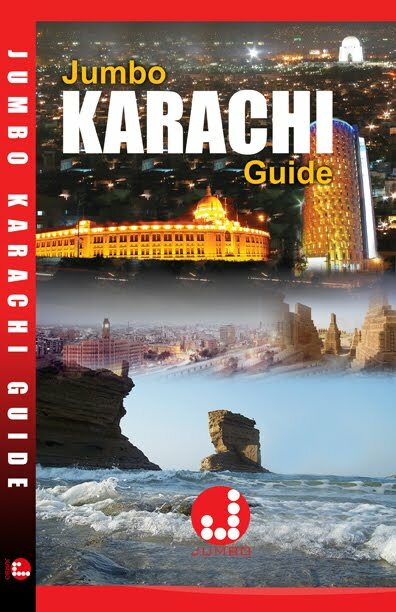 It’s the vision of Arif Habib, one of the leading entrepreneurs of the country, besides his passion for sports, which has resulted in the development of cricket and football stadiums of international standard in Naya Nazimabad. 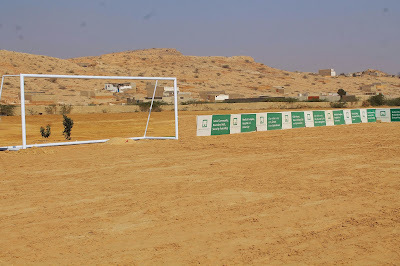 Mohammad Iqbal, Director Sports, Naya Nazimabad, disclosed recently that the football ground, measuring 180 feet by 300 feet has a fully grassy field and the dugouts as well as the goal posts have already been installed. “The pavilion is under-construction and it will be ready very soon. The floodlights will be installed in the second phase which will also be completed in 2015. By the end of the year the floodlit Naya Nazimabad Football Stadium would be looking forward to become a most popular venue for the sport,” he observed. 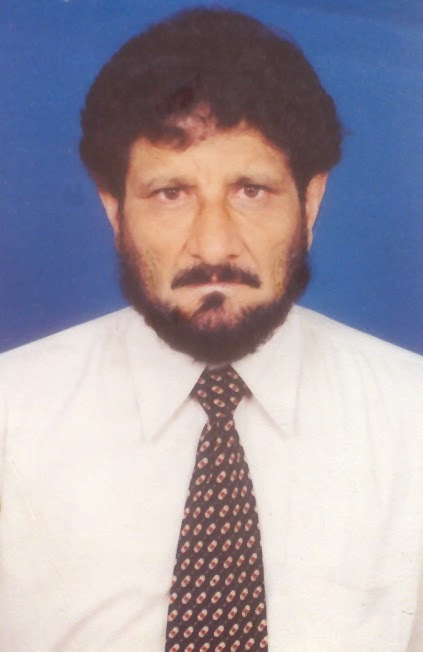 Mohammad Iqbal, a former cricketer, brings with him vast experience of sports administration as he headed the MCB’s sports department for a number of years, having remained associated in the development of infrastructure projects in the past as well. 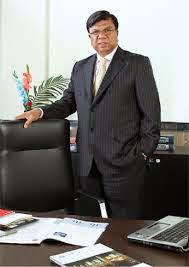 He has already proved his mettle at Naya Nazimabad as well where, with the total support of the Arif Habib Group and the proactive involvement of the top officials of the Javedan Corporation, the facilities for sports are being developed of the highest standard. The manner in which the Naya Nazimabad Lawai Stadium has been developed and maintained speaks volumes of the professional management and the extraordinary efforts having been put in. It’s quite remarkable how such a fantastic ground has been developed in incredibly quick time. More significantly it’s also being maintained properly. They have already staged a couple of editions of the Naya Nazimabad Peace Cup Cricket Tournament, under floodlights. In fact the knockout matches of the 2nd Peace Cup were telecast live. It was an accomplishment of sorts for the event having gone on air in only its second year. It seems a matter of time for the Lawai Stadium to start hosting matches of the national cricket tournaments, organized by the Pakistan Cricket Board (PCB), on a regular basis. It’s a welcome addition to the list of well maintained cricket grounds in the city. 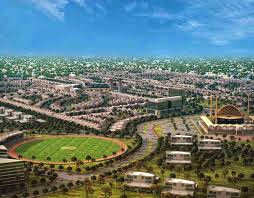 The phenomenal success of the cricket stadium and the desire of the promoters of the massive housing project to patronize sports in their arena there’s very little doubt in one’s mind about the Naya Nazimabad Football Stadium becoming talk of the town in the not too distant future. It will be a particularly pleasing sight for the residents of Naya Nazimabad to have a high-quality football stadium, besides one for cricket, in their own backyard. Besides using the facilities themselves they will also get the rare opportunity of watching the star players in action in their own locality. Posted by Editor at 11:33 AM . Anwar-ul-Haq, a former opening batsman, has underscored the importance of consistent policies and professional management in order to revive the Pakistan cricket and put it on solid footing. “I have no doubt in mind that Pakistan has been blessed with outstanding cricket talent. All we need is the consistent policy at every level to make the most of it and be counted as as one of the top sides of world cricket,” he remarked in a recent chat. “I am saying this with total conviction because I have remained a part of the set-up which got hold of the raw talent and groomed them into stars. The colt scheme at the Muslim Commercial Bank (MCB) worked wonders and we were able to produce high-quality cricketers from the bunch of youngsters whom we had spotted from the grassroots level,” Anwar-ul-Haq, who became the coach of the bank after quitting first-class cricket, recalled. “Mohammad Yousuf, Younis Khan, Shahid Afridi, Asim Kamal, Atiq-uz-Zaman, Mohammad Zahid, Shahid Nazir and Rana Naved-ul-Hasan, all of whom have played for Pakistan, were the proud products of MCB Colts. They possessed enormous talent but we provided them the platform and the opportunity to unfold their skills and move up the ladder,” he added. “There’s a long list of successful first-class players who began the journey with us. We were able to do it because of our consistent policies. Our bank’s President, Hussain Lawai, was a great supporter of inducting young blood. Our sports department’s chief, Mohammad Iqbal, also shared the same philosophy and we were able to execute the plans to perfection with the blessings of our management,” Anwar-ul-Haq, who scored 13 centuries in 108 first-class matches while scoring 5,854 runs, stated. “The Pakistan cricket also needs to adopt similar kind of policies for long-term benefit. Talented youngsters, if groomed and taken care of nicely, could prove to be assets. We need eagle-eyed selectors who can continue backing the players who have the spark and the guts to succeed at the higher level,” he suggested. “The regional or the national selectors can only be encouraged to do so if they have the backing of the Pakistan Cricket Board (PCB). That’s where the issue of consistent policies comes up. The Board should look at the larger picture and merit should never be compromised. Otherwise the desired results might not be achieved,” Anwar-ul-Haq, who played against the visiting Australian and Indian teams in the 1980s, cautioned. “Once the induction of the youngsters starts taking place there were be a larger pool of cricketers and there will be more flexibility in selecting different outfits for different formats. We can also have T20 specialists or Test specialists as some other countries do have at the moment,” he pointed out. “In modern cricket, professional approach holds the key. The coaches need to be on their toes all the time. Gone are the days of the laidback thinkers or doers. Now we need proactive personnel to do the business. Cricket is played differently now but Pakistan has the talent to compete. It’s just a matter of better management in order to extract the best of the boys,” he concluded. Posted by Editor at 11:13 AM . Skipper Hassan Khan’s magnificent all-round performance helped Beaconhouse School North Nazimabad to overpower Fahad Academy by six wickets in the final of the HBL Inter-Schools Cricket Tournament 2014 at the National Stadium, Karachi. Besides smashing 134 off only 79 balls, he also claimed three wickets to ensure that Beaconhouse School North Nazimabad clinched the trophy rather leisurely in the end. With the final and the prize distribution ceremony the curtain fell to the organized by the Pakistan Veterans Cricket Association (PVCA) and sponsored by HBL. Set a target of 196 in 40 overs, Beaconhouse School North Nazimabad lost both the openers cheaply but guided them to the chase, with a sensational knock of 134 which contained five sixes and 18 fours. Beaconhouse School North Nazimabad was in sight of massive victory when he departed and the job was completed by the pair of Anwar Iqbal (26 off 20 balls) and Izaan Waqar (18 off 36 balls), both of them remaining undefeated, as the winning runs came in only the 27th over. Earlier the spin quartet of Hassan Khan (3-29), Muaz Bin Salman (2-24), Waleed Hasan (2-32) and Ahmed Salman (2-34) had sent Fahad Academy crashing to 195 all out in 38 overs after a solid start provided the opening pair of Babar Hassan (90 off 86 balls) and Mohammad Saleem (28 off 22 balls). The spinners did a terrific job by picking up wickets at regular intervals which choked the rate of scoring and restricted Fahad Academy to a total of below 200. The prize distribution ceremony was held soon after the conclusion of the final in which the chief guest, Aman Aziz Siddiqui, Head-Strategy & Investment, HBL, presented the winners trophy with a cheque of Rs 50,000 to the Beaconhouse School North Nazimabad captain, Hassan Khan, while Tauseef Khan, the Fahad Academy skipper, collected a cheque of Rs 30,000 with the runner-up trophy. In the individual awards category Tariq Bakht was declared the Player of the Tournament while, Ammad Alam, Mohiuddin Javed, Mohammad Moiz and Ammar Iqbal were declared as the best batsmen, the best bowler, the best fielder and the best wicketkeeper of the tournament respectively. In his brief address on the occasion, Aman Aziz Siddiqui announced that HBL will like to make the tournament a permanent annual event in future. 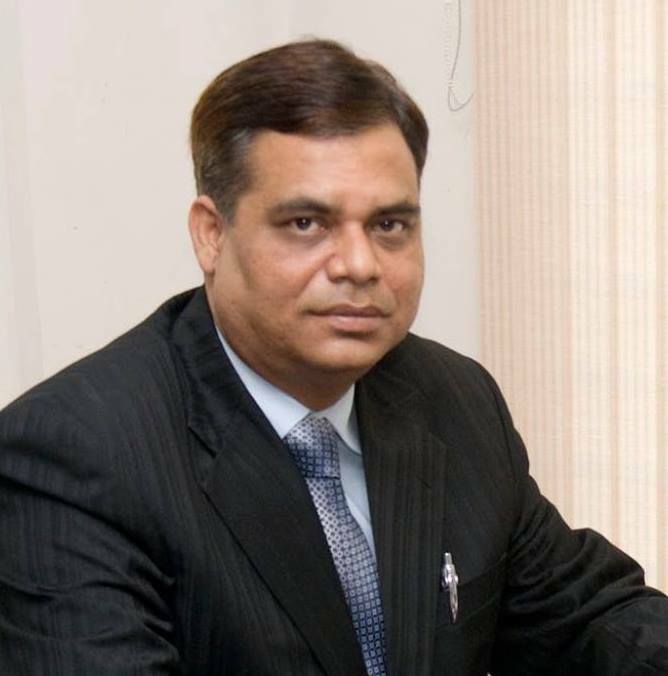 Fawad Ijaz Khan, Chairman, PVCA, in his welcome address, made the announcement that the Inter-Schools Cricket Tournament will now be extended to the other cities of the country too. Shaharyar M. Khan, Chairman, Pakistan Cricket Board (PCB), who was the guest of honour, assured the Board’s total support to the PVCA initiatives aimed at promoting the game from the grassroots level. Posted by Editor at 1:59 PM . Fahad Academy stormed into the final of the HBL Inter-Schools Cricket Tournament 2014 by whipping St Paul English School by 135 runs in the semifinals of the at the National Stadium, Karachi. Fahad Academy will now be taking on Beaconhouse School North Nazimabad in the final at the same venue. The tournament is being organized by the Pakistan Veterans Cricket Association (PVCA). Put into bat, Fahad Academy posted a mammoth total of 315 for seven in the allotted 40 overs. St Paul English School was never really in the hunt after losing wickets in quick succession. They were bowled out for 180 in 34.2 overs. The gamble of the St Paul English School skipper, Hammad Ahmed, to insert the opponents into bat after calling correctly, backfired and runs kept coming at brisk pace from the outset in the Fahad Academy innings. Fahad Academy lost an early wicket but the 105-run second wicket partnership between opener Mohammad Saleem (78 off 61 balls) and Farhan Shah (71 off 65 balls) put them in a strong position. Saleem whacked as many as 15 boundaries besides one six in his aggressive knock while Farhan smashed 10 fours in his enterprising half century. The middle-order batsmen capitalized on the solid platform and the boundaries kept coming despite the loss of wickets. Umair Bin Yousuf’s superb innings of 43 off 48 balls allowed the power hitters to do the business. Zeeshan Ahmed (26 off 21 balls) and Adeel Irshad (21 off 17 balls) batted brilliantly and the late flourish was provided by Mahmood Shah who remained undefeated on 29 off 22 balls which enabled Fahad Academy to post a huge total of 315 despite fine bowling from left-arm spinner Hamza Khan (3-55) and medium-pacer Hammad Ahmed (2-47). The match was virtually over when St Paul English School lost four wickets before bringing up 100 of their innings. Mohammad Kashan’s 41 off 50 balls simply reduced the margin of defeat as the result was seldom in doubt with the fall of wickets which made the asking rate beyond the reach of the batting side. The Fahad Academy captain, Tauseef Khan, used as many as 10 bowlers, with leg-spinner Adeel Ahmed (2-27) returning the best figures. Their teammate Mohammad Saleem was declared Man of the Match for his blistering knock upfront. Hassan Khan’s brilliant century powered Beaconhouse School North Nazimabad to an exciting two-wicket victory over Kamran Public School in the semifinals of the HBL Inter-Schools Cricket Tournament 2014 at the National Stadium, Karachi, on December 1. Beaconhouse School North Nazimabad’s opponents in the final, to be staged on December 3, will be the winners of the second semifinal, to be contested between Fahad Academy and St Paul ’s School on December 2. The tournament is being organized by the Pakistan Veterans Cricket Association (PVCA). The semifinal between Beaconhouse School North Nazimabad and Kamran Public School turned out to be a very absorbing one with the outcome in doubt until the winning runs were scored. Electing to bat, after winning the toss, Kamran Public School lost their last seven wickets for 36 runs to be bowled out for 208 in 38.4 overs. Openers Ammad Alam (32 off 26 balls) and Abdul Moiz (22 off 26 balls) provided them a rollicking start and the 96-run fourth wicket partnership in 22 overs between Hasan Mohsin (71 off 75 balls) and S M Hasnain (52 off 61 balls) consolidated their position. It was the trio of left-arm spinners, led by Waleed Hasan (4-21), which derailed their innings. Izaan Waqar (2-36) and Ahmed Salman (2-40) also chipped in with useful wickets to limit the Kamran Public School score. Set to score 209 in 40 overs, Beaconhouse School North Nazimabad found itself in disarray at 80 for five before rescued by a punishing 108-run sixth wicket stand off only 67 balls between Hassan Khan and Ammar Iqbal. Coming in at number three, Hassan Khan blasted nine sixes and eight fours in his sensational knock of 109 which came off only 49 balls. He was absolutely brilliant in his stroke-play which severely jolted the fielding side. The match came alive again after his dismissal when wickets started tumbling again but it was Ammar Iqbal who stood firm and guided Beaconhouse School North Nazimabad to victory. He remained undefeated on 46 off 59 balls as his team won the match with just two wickets in hand. Leg-spinners Ammad Alam (3-38) and Hasan Mohsin (3-51) bowled well for Kamran Public School but couldn’t win the day for their side. The Man of the Match award was clinched by Hassan Khan of Beaconhouse School North Nazimabad for his whirlwind century. The presentation was made by the chief guest, Dr Razi Azmat, Head Human Resource, HBL, while Fawad Ijaz Khan, Chairman PVCA, Nadeem Omar, Abdul Raquib, Alamgir Ahmed and Amjad Islam were also present on the occasion.